China is Ballard's biggest market for fuel cells that convert hydrogen to electricity, and it's a major influence on the global renewable energy industry. VANCOUVER – Ballard Power Systems says it has an $11 million deal to supply 200 of its FCveloCity fuel cell engines to Broad-Ocean Motor Co. of Zhongshan, China. 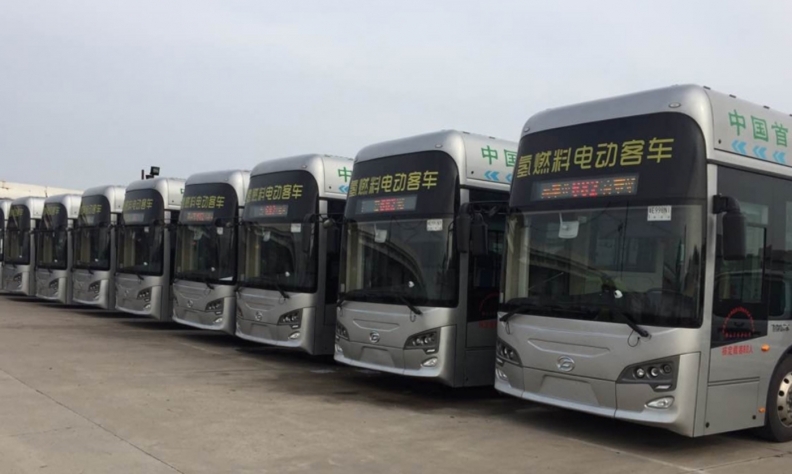 The engines, to be delivered this year, will be used in demonstrations of clean-energy buses and commercial vehicles in key Chinese cities, the company says. Broad-Ocean, which makes small, specialized electric motors, has a 9.9-per-cent stake in Ballard. The two are finalizing a technology transfer, licensing and supply deal that would see the Chinese firm set up three module-assembly plants in China. The latest engine deal is the second big one of the year for Ballard. In February 2017, Ballard signed a deal with Zhuhai Yinlong Energy Group to supply 10 fuel cell engines to the China-based battery-electric bus maker. That agreement calls for Ballard to deliver the FCveloCity-MD 30-kilowatt engines in 2017 to power Yinlong buses destined for smog-choked Beijing. Nearly 40 per cent of Ballard’s sales came from China last year and that’s expected to reach about 50 per cent in 2017.